Waste disposal needn’t be time-consuming or complicated- not when Adlington Skip Hire are always on hand to help! Whether it be a renovation project or an office clear out, you’re more than likely to generate an immense volume of waste but you need to decide how you’ll get rid of this. Leaving waste to pile up won’t do you any favours; not only will it create an eyesore, but you could also be faced with a fine for not disposing of waste efficiently. 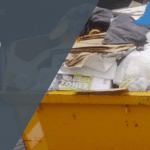 There are several ways that you can get rid of unwanted materials from your domestic or commercial project- it’s about choosing the right method for the waste that’s generated, take Skip Hire Wigan for instance. Whether you’re looking to clear your property in time for winter or you’re moving to a new house, packing up waste materials and loading them into the boot of your car is often seen to be the easiest way to rid yourself of clutter, but is this really the case? 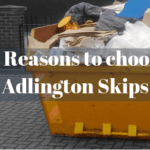 Instead of loading up the boot of your car with waste and transporting it to the local tip, Adlington Skips offer Skip Hire Chorley to eliminate the hassle of driving waste to and from the landfill site. Generally, disposing of waste at the tip is so popular because it enables you to remove clutter whenever you need to, making it convenient for when you have too much waste to fit inside your wheelie bin. 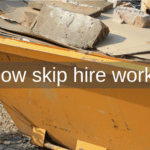 There are several advantages of Skip Hire Chorley when compared to driving waste to the tip, one of the main ones being that hiring a skip can save you time, effort and money, allowing you to complete your project quicker. 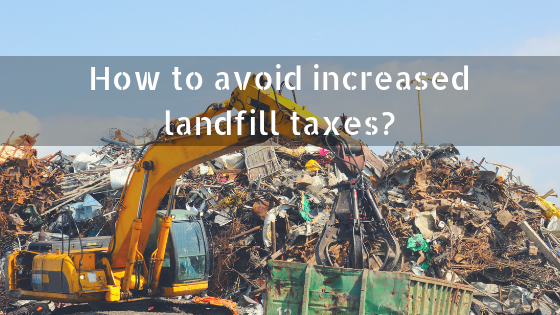 As a result of so many people choosing to send waste to the landfill site, there has been a dramatic increase in landfill taxes which makes it more expensive for you to dump materials. The landfill tax was introduced in an attempt to reduce the volume of waste that’s sent to landfill, encouraging you to dispose of waste in a way that’s efficient. Any waste that’s disposed of at the landfill site is incinerated which has various environmental consequences. Choosing other methods for waste disposal, like Skip Hire Bolton, will allow you to reduce your costs and to ensure that materials that are recyclable are recycled. To avoid landfill taxes, without investing in Skip Hire Bolton, some people choose to fly tip their waste, however, this isn’t something that we recommend at Adlington Skips! Fly-tipping is not only illegal in the UK, but it’s also dangerous for the environment and wildlife, so if you’re caught dumping waste illegally, it won’t be long before you’re handed an expensive fine for not following legal rules and regulations. Here at Adlington Skips, we offer Skip Hire Leyland as a modern alternative to tipping waste, so if you’re looking for an affordable substitute, you’re in capable hands with our team of experts!  We supply a wide range of skips for Skip Hire Wigan at Adlington Skips, accommodating for almost any domestic, commercial or industrial project, so you needn’t worry about finding something suitable. In choosing Skip Hire Leyland, you’re sure to benefit from a high level of efficiency and we make sure that any waste that you dispose of, is handled with care. As well as this, we ensure that all materials are disposed of correctly, aiming to recycle 90% of the entire contents held within your skip. Having gained a wealth of experience, we provide Skip Hire Preston to help you to avoid landfill taxes, providing you with a cost-effective alternative. By recycling most of the materials thrown out from your project, our services for Skip Hire Preston can essentially eliminate the volume of waste that’s sent to the landfill site, making them extremely sustainable! Our team of skip hire specialists will be more than willing to provide you with any advice that you require when it comes to disposing of waste, ensuring that you benefit from affordable waste disposal that suits the exact demands of your project!